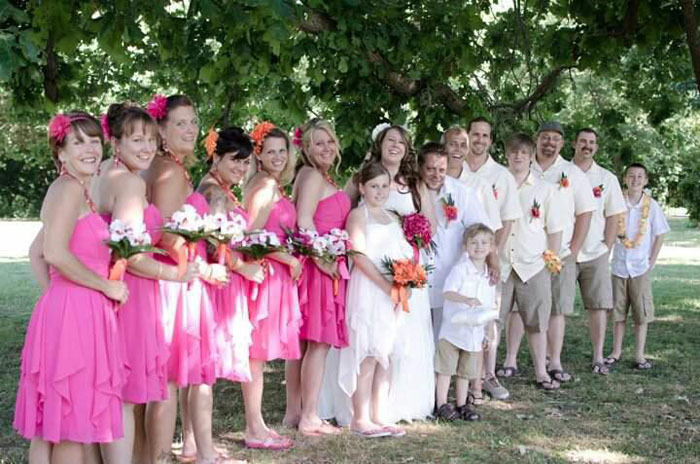 Welcome to our Put-in-bay Attractions and Things To Do Vacation Rental guide for the most popular Put in Bay Attractions. Our online destination guide has a sampling of every type of Putinbay Attraction you could imagine. From kayaking, beach and other Putinbay watersport locations to sightseeing, freebies, kids' spots and bars and restaurants. 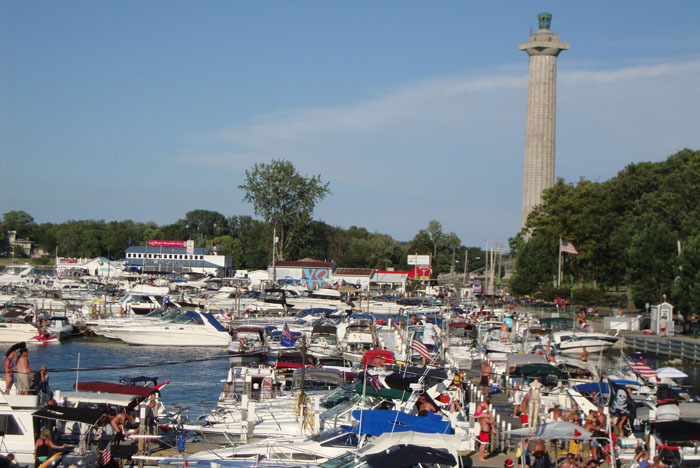 Choose from our list your favorite thing to do, and then go do it on Put-in-Bay. Once a state fish hatchery, the Aquatic Center is operated by the Division of Wildlife. They strive to provide a fun and enriching experiencing through their educational displays pertaining to Ohio's fishing resources. There are live fish displys of Lake Erie fish, as well as extensive information about the creatures. On your next trip to the Lake Erie Islands, be sure to check out this great savings opportunity. Within there are savings of more than $400, which can be used for both Put in Bay and Middle Bass Islands. The purchase price is only $6.00 plus tax. Baybucks can be bought on putinbay or online via the link below. Carribbean themed, complete with a tiki bar and palm trees, this bar is located at The Put in Bay Resort and Conference Center. There is a swim up bar within the heated pool, and a 40 person jacuzzi for guests to enjoy. Put-in-Bay Pizza Co. cooks up fantastic finger-licking food daily. Location, location, location! The Boardwalk is situated right on the harbor near the city docks. Enjoy the spectacular panoramic views of the boats in the harbor and the surrounding islands from the various decks and patios. Most notably is the lobster bisque. It's ridiculuosly delicious! Ahoy mates! One step into this restaurant and you'll feel like Jack Sparrow himself navigating the Black Pearl. Inside it feels as if you are in a vessel sailing in open waters, as the layout is that of an upside down boat. 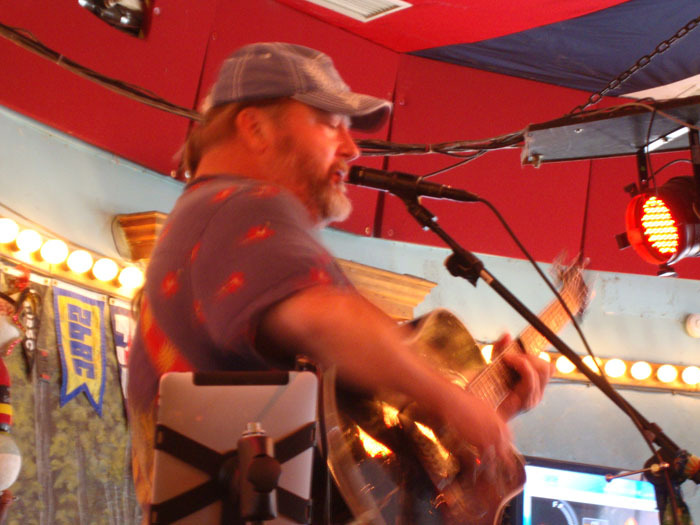 Put-in-Bay ledgend Pat Dailey can be found at this PIB hotspot. This whimisical attraction is located within the Family Fun Center Complex at Perry's Cave. There are over 500 butterflies, the vast of which are not indigneous to Put in Bay, or even North America for that matter! There is also a wonderful gift shop available inside. Come and basque in the whimsical feelings you'll get as over 500 exotic butterflies flutter above your head. Bring the whole family to enjoy this island favorite, located in the Perry's Cave Family fun Center. Also be sure to check out their great gift shop with unique gifts and novelties. Mamma Loccoco, the matriarch founder, began by cooking Old World Style Italian food for her friends in family in her own kitchen. So in 1936 Sandusky, Ohio Cameo Pizza was founded with these core family values. So stop on by for a pizza pie and tell your hunger bye bye. Forget about it! 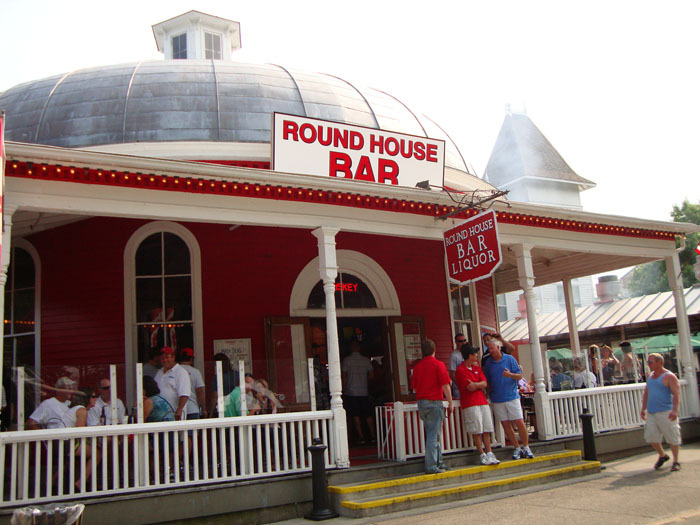 Directly to the right of the famed Roundhouse Bar is the Chicken Patio. This essential island tradition boasts a wine basted 1/2 chicken dinner that includes corn on the cob, potato salad, and a dinner roll. The chicken is cooked onsite on a large charcoal grill, and is served directly from it. The patio overlooks DiRiviera park in downtown Put-in-Bay. Chocalate, chocalate, and more chocalate! Also they have clothing, glassware, and special items in their gift shop. Of course there is an extensive selection of chocalates, candies, and ice cream. Coffee and breakfast sandwiches are also served daily in this great pudding bay cafe. Located on Catawba Rd beneath the Goat Soup & Whiskey. Chocolate, chocalate, and more chocalate! Also they have clothing, glassware, and special items in their gift shop. Of course there is an extensive selection of chocalates, candies, and ice cream. Coffee and breakfast sandwiches are also served daily in this great pudding bay cafe. Located on Catawba Rd beneath the Goat Soup & Whiskey. Forget your CD's on the mainland in the Jet Express parking lot? Hope is not lost to get some great tunes! A wide variety of music including main stream artists and island entertainers invites those who perouse their shelves. Tropical clothing and accessories will get you jamming island style! Workers in 1897 stumbled upon this marvel as they were preparing a well for the winery some 40 feet above. Put-in-Bay's Crystal Cave has the world's largest geode inside. The inner lining of this Ohio treasure is covered in strontium sulfate, a bluish mineral classified as celestite. Crystals have been harvested previously for firework production, so the cave has grown considerably since its discovery. Located inside Boardwalk restaurant, the Fish Shack's signature items include breaded Lake Erie walleye and perch sandwiches. A great addition to these sandwiches are their renowned onion rings. They also serve fresh breaded Walleye and Lake Erie Yellow Perch. Stroll through this challenging attraction, but just make sure you watch your steps. A fun activity for the whole family, Fort Amaze'N at the Perry's Cave Family Fun Center will have you spinning with glee. The maze has panels that can be removed and altered, so new fun can be found every time. Come down and see who can make it through! Leave your inhibitions and cover charge at the door; you won't need either! For over 50 years Frosty's has been delivering delicious pizza and icy cold beer, while never charging a cover charge. Also, Frosty's is noted for their excellent Bloody Mary's and breakfast. Get a bag of rough mix at Perry's Cave gift shop, and start sifting. Water will push the sand through the grates, and if you are lucky you may found a great treasure. Bags cost from $4-9, and a great time will be expereinced from 10 minutes to an hour of sifting through the mixture. Check out this Put in Bay fun spot! The Heineman Winery was founded in 1888 by Gustav Heineman, an immigrant from Baden-Baden, Germany. This area is well known for growing grapes. The Lake Erie Islands are located along the same latitude lines of the wine making regions in France. The long growing season and temperate environment were very suitable for grape growing. Over 100 years of wine making tradition can be experienced at this PIB must visit. Preserving the Lake Erie islands was a central focus in the 1975 formation of this organization. 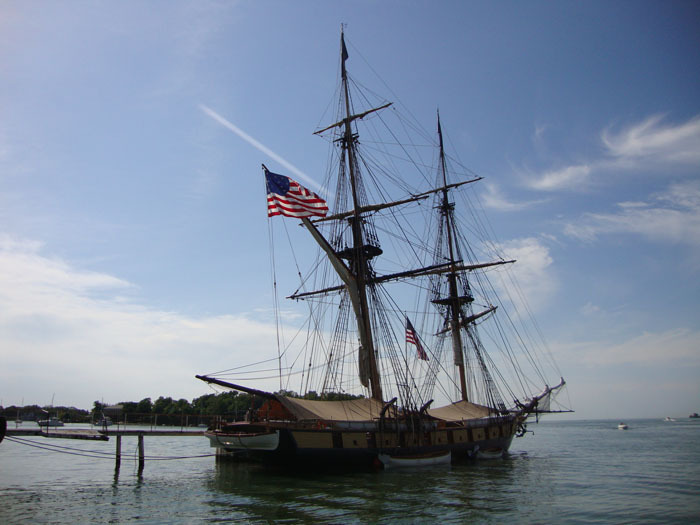 Their mission is to preserve, interpret, and educate islanders and visitors about the rich culture and history that is found on Put-in-Bay and the surrounding islands. All ages are welcomed to this edutainment experience. In front of Wharfside beside the Boardwalk Restaurant, you can find Jessie Green personally making unique and purely orginal jewelery and sculpture. Intricate sterling silver wire butterflies, beatiful dragon fies and other free forms from nature can be found here. These one of a kind items are revered highly, and a must see on putin bay. Navigate the gently rolling waters of Lake Erie catching unparallelled views of Perry's Victory & International Peace Memorial. Experience is not neccessary, as their trained staff will be very accomadating to new riders. Paddle the harbor and check out the great vistas and limestone cliffs that surround Put in Bay. Wooden horses adorn this great American merry-go-round. There are few left in operation of this sort due to the common breakdown of the intricately carved pieces of art. The carousel is located in downtown Put in Bay near the Candy Shop. Orginally built in North Tonawanda, New York by Allan Hershcel, this attraction will leave the kids smiling! Want some great lunch with a fantastic view? Check out the Little Galley, located inside the Boardwalk restaurant. So come grab a juicy burger and french fries and enjoy the spectacular view from the outdoor patio. Set your anchor and come on in to the Mariner's Locker. An island orginal, this men store is across from DeRiviera Park and next to the Boathouse Restaurant. There is a great selection of nautical and PIB themed apparell for both men and women. Get some great garb at this great island stop. 419-285-3101	One of Put-in-Bays most popular, premier dining experiences. Renowned for their oversized sandwiches, fresh homemade soups, daily dinner specials and especially their chicken wings. You can't truly say you've had good wings until you've had them at Mr. Ed's! After you've had a fun filled time at this must stop PIB bar, take Mr. Ed back home with you. Great T-shirts, hats, and sweatr shirts can be summoned to you by the hard nosed Put in Bay sherriff, Theresa. Stop by and check out their unique offerings, including items with the token "Nobody ugly after 2" Mr. Ed's slogan. Check it out! The Ohio State University operates the United States oldest freshwater biological field station, here on the western shore of Put-in-Bay. There is also an extension campus of OSU, where college students, adults, and children can become educated about the waters that surround PIB. The Ohio Sea Grant College Program hosts a Lake Erie teaching component. Don't miss this informative attraction. Fly high in the sky and get the best view of the Lake Erie Islands possible! Climb upon their boat and take off for a special putinbay experience. From 600 feet in the sky you will be able to feel like a sea gull spanning the shore. You stay dry throughout, as you depart from the flight deck from the rear. Come and get really high with us! The place to be for breakfast! For over 20 years Pasquale's has been putting out delicious breakfasts from light, fluffy omlettes to stacks of pancakes. They are also open for lunch and offer a variety of sandwiches, wraps, and pizzas. Located in the middle of downtown Put in Bay. Perry's Cave, registered as on Ohio Natural Landmark, is a NATURAL limestone cave steeped in historical tradition. The cave lies 52 feet below the surface of South Bass Island in Lake Erie. The discovery of the cave, in 1813, is credited to Commodore Oliver Hazard Perry, hero of the battle of Lake Erie. The cave is 208 feet long by 165 feet wide; the walls, ceiling and floor are heavily encrusted with calcium carbonate deposited by centuries of water dripping from the ceiling. The temperature remains in the vicinity of 50 Degrees. An Ohio Natural Landmark, Perry's Cave is the location where Oliver Hazard Perry found fresh drinking water for himself and his men. The cave lies 52 feet beneath South Bass Island's surface. The dimensions are 208 feet long by 165 feet wide with the ceiling and floor encased with calcium carbonate. Dripping water from the ceiling has produced this element. Year round the cave remains a temperate 50 degrees. Erected to remember those who were involved int he Battle of Lake Erie during the war of 1812. There is a dual purpose which also commemorates the lasting peace between Britain, Canada, and the U.S. This monument is perched just 5 miles from the longest continuous unprotected border in the world. Construction began in October 1912, and was finished 3 years later. Guests can catch great views from the observation platform, and even see Canada on a clear day! There's no more of an appropriate place for a brewery than here on Put in Bay. They have a full service kitchen which is known for excellent appetizers, beef braised short ribs, and Lake Erie perch. Also, they offer late night pizza by the slice. What would complete your stay at the bay? A jet ski ride! Put in Bay Watercraft Rentals, Inc. offers a variety of water activities including kayaks, waverrunners and power boats. Located next to the South Bass Island State Park, spectacular views of Lake Erie can be found here. Check out the sunset here early in the season. A must see! Vroom, Vroom! Come down and challenge a friend to Put-in-Bay's most exhilarating, adrenaline filled speed spot. There is a 1:10 scale with 2 and 1/2 minutes of great racing action. The racers travel at speeds higher than 50 miles an hour. This is much faster than you can travel on anywhere on the island! Get your racing fix at the Put-in-Bay Raceway. Primely situated next to South Bass Island State Park, this par 3, 9 hole course is a great stop for the golf enthusiast. There are 1,235 yards of golfing glory from the black tees, with a par of 30. The slope rating is 150 and the course overall is rated as a 35. Opening in 1956, Delores Kowalski currently manages this PIB course that she also owns. Nicely situated on seven acres of woods and inviting landscaped grounds, the Stonehenge Estate illlustrates examples of island life from the 1800's through present day living. A continued family preservation project, the wine making tradition that enriched the area in the mid 1800's is on clear display here. The Stone Farmhouse and Wine Press Cottage are both listed on the National Register of Historic Places and can be toured during the summer months. Hungry? Late night? Eat Fresh. This store openened in the summer of 2007, and is located in the Commodore Hotel lobby. The sub sandwiches are made with bread baked daily, and topped with a variety of fresh toppings. Personal pizzas can also be found here, and are ready in 90 seconds. Stop those gorgeous PIB rays from making you squint. Right on Delaware Ave across from the Bakery in downtown putinbay, you'll find a great selection of sunglasses. Oakley, Ray Ban, Maui Jim and more are among the offerings of this UV protection. Styles and selections to fit everyones taste and pockets! 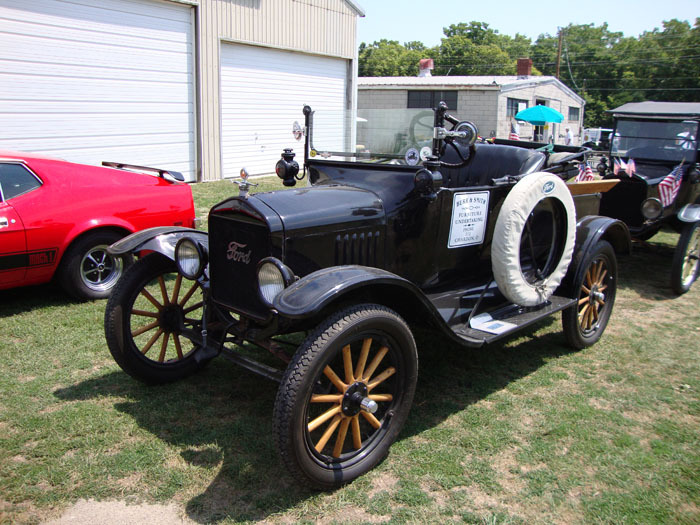 Glide through the streets of Put-in-Bay with a narrated tour. Offered daily through the summer season, the train leaves from The Depot in downtown Put in Bay every hour. 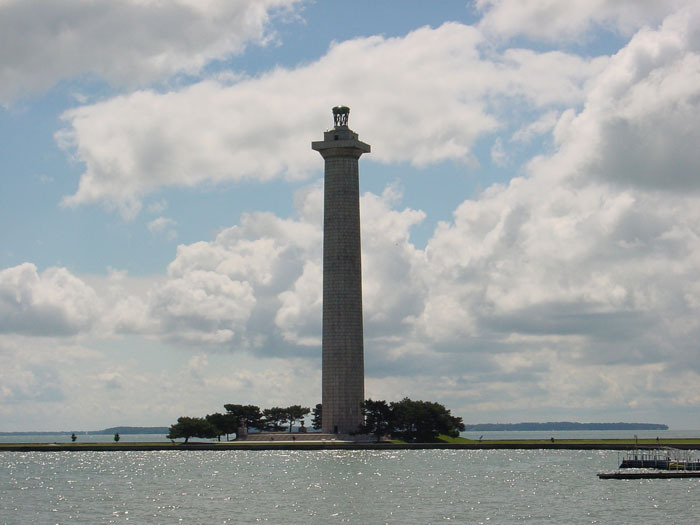 The driver informs passengers about the rich history and tradition that is found on Put-in-Bay and the Lake Erie Islands. Enjoy this 55 minute tour to learn more about South Bass Island. Wage war on the putting green at this fun filled attraction. Located within the Perry's Cave Family Fun Center, an 18 hole putt-putt course awaits to challenge the best of players. The theme is inspired by the events that transpired with Oliver Hazard Perry in 1812, as well as island inspired holes. A great shaded lot houses this great activity. For your last minute boating needs, this is the place to be. Right next to the Boardwalk Restaurant, you can purchase bait, tackle, fishing licenses, and boating products. From life jackets to last second boat lighting, this shop has a wide selectin of nautical items. Also, you can cure your munchies with snacks and drinks.